This June Wellbe hosted a small but great group of clients who came from Norway (Trondheim) and Sweden (Helsingborg). 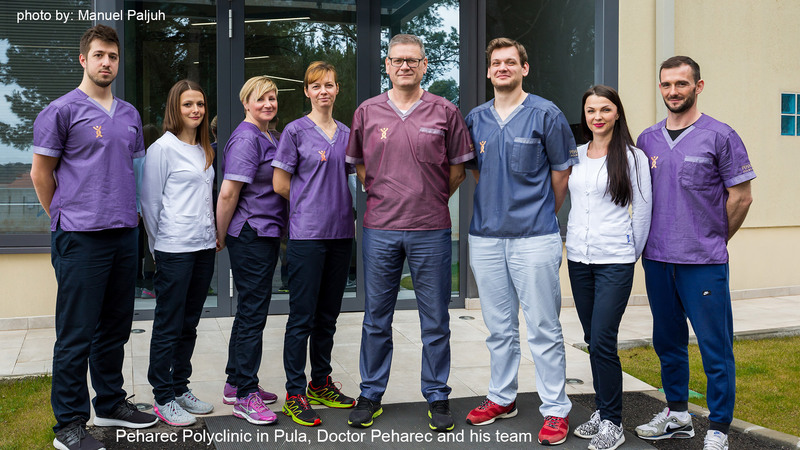 The main aim of their visit was to enable them a full, intensive rehabilitation treatment for their respective health issues, which included rheumatic diseases, spine disorder and recovery after knee surgery, at one of the best therapist centres in the rehabilitation field in the region – Polyclinic Peharec in Pula. Our clients had a very tough schedule and they worked with great dedication. They were especially touched by care, expertise and warm, caring relationship that the polyclinic’s team exhibited during their nearly one month of therapies. The founder of the clinic and the key expert that has been introducing and developing these valuable and innovative procedures in physical rehabilitation is Mr. Stanislav Peharec, PhD in somatology, and is specialized in spine biomechanics. He and his team, have, for several decades, been dedicated to the rehabilitation of acute and chronic lumbar pain syndrome as well as other painful conditions of the locomotive system. The motto of the Peharec polyclinic is not to operate on the patient unnecessarily but to help him/her recover naturally just through rehabilitation. It requires great endeavour on the part of both patient and therapist. It is hard work but possible to achieve. In Istria there are also several more reputable specialists in the field of rehabilitation. We have already mentioned our young spine expert from Rovinj rehabilitation hospital, Doctor Marinko Rade. His openness and connections with the Scandinavian scientific circles led to a nice opportunity for introducing a very special set of rehabilitation machines that were created and produced by a company in Finland and are now sold worldwide. The company is called HUR, and it is a world-leading exercise solutions provider for the ageing population. The company’s principal precept is to provide for lifelong strength despite the ageing process. Active ageing goes hand in hand with expert knowledge, dedication and care and any person who needs this kind of rehabilitation will happily embrace this. Being active and dynamic for most of our life we probably want to enjoy ageing healthily and with a reasonable amount of fun.